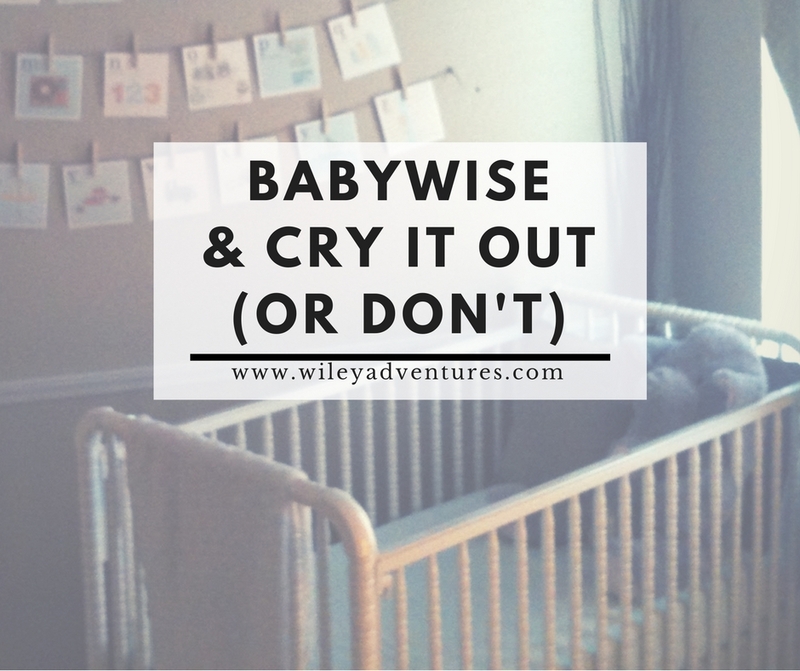 Somewhere along the way, Babywise started getting associated with crying it out. I can't tell you how many conversations with people I have had about Babywise and their response to me has been something along the lines of "I just can't do Babywise because I can't let my baby cry". Nowhere in the "On Becoming Babywise" book does it tell you that you have to do CIO to be successful with Babywise. In fact, the book doesn't even give you a guideline for sleep training at all. It does say that "it is an aquired skill that is enhanced by routine" (pg. 55). But the heart and meat of Babywise is a Parent Directed Feeding Plan and the Eat Wake Sleep Cycle... NOT sleep training. Get to know your baby's cries. "Don't define [the baby's] needs by the mere fact that your baby is crying. Rather, learn to assess what each cry means. Assessment is critical to meeting needs." (p. 138). There are a number of reasons a baby might cry and as the caregiver, you need to learn what those cries are in order to best meet needs. Those needs should always be addressed. But also recognize that one of those needs might very well be SLEEP and that will likely requre sleep training of some sort. Every human being needs to learn how to self soothe and we all need to be able to put ourselves to sleep by ourselves. Is sleep training a part of this? Yes! Absolutely! Most babies are not born with this ability and need to be trained to do this. CIO is one way to do this, but it's not the only way. For my first three CIO, worked BEAUTIFULLY. If I rocked LK, she would just cry anyway. We did 2 nights of CIO and eight years later, she is still the best sleeper in our house. For Archer, for several reasons, we couldn't (because of room sharing) and just didn't WANT to CIO with him. We used the 4 S's (From Tracy Hogg's The Baby Whisperer) as our main sleep training method with him. "Sleep props hinder continuous nighttime sleep. Sleep cues are influences (often negatively) by a variety of sleep association props. Some sleep props, such as a special blanket or a stuffed animal, are harmless, while others are addictive. For some parents, the problem is getting the child to fall asleep initially. For others, the challenge is getting the child to fall back to sleep if he is prematurely awakened." (p. 56). Listen, I don't think sleep props are the devil. But I do think they hinder healthy sleep patterns. And I think if you use them it could take longer for baby to sleep through the night and longer for them to learn to self soothe. Common sleep props to take into consideration: pacifiers, swings, bed sharing, lovies. (For the record, we use 2 out of the 4 of those). This is just a start, as there are many more options when it comes to sleep training. My point is don't just assume it's cry it out or nothing! While I have used different methods of sleep training with my four, I have seen Babywise successfully work with all four of them. I worked hard with all four. I had the same goal with all four. My "how" was different, but my "why" was the same and my goal was accomplished with all four. My encouragement is to take the meat and purpose of Babywise and make it work for your family. Do your research on ALL of the types of Sleep Training and choose the one that best fits your family and use it alongside Babywise! 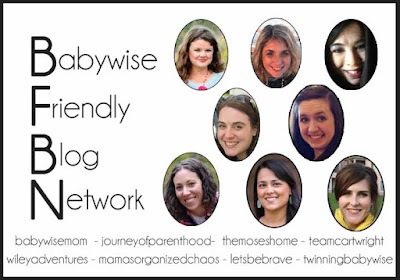 This week, the ladies in the Babywise Friendly Blog Network are tackling the Babywise Myths and Misconceptions. Really really good info here from bloggers whose are passionate about promoting the POSITIVE things about Babywise!